The Gist: Vallette Street in New Orleans is named after Francois Valette, an entrepreneur that owned several docks and warehouses in Algiers Point on the West Bank of the Mississippi River. His son, Octave, changed the spelling of the family name. Yesterday: Algiers Point dates back to the finding of New Orleans and had also been referred to as Point Antoine, Point Marigny, and Slaughter House Point over the centuries. 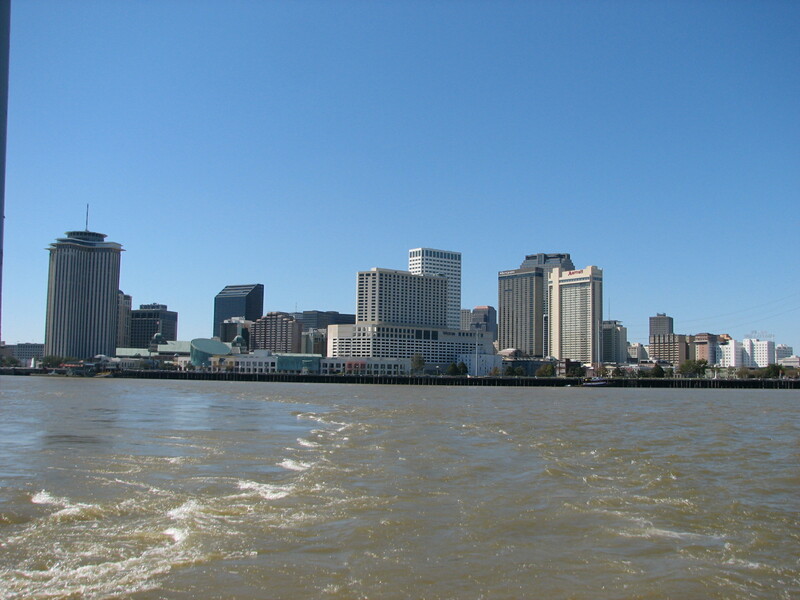 The original land (now known as Algiers) was granted to Bienville and established in 1719. Its official name became Duverjeville upon the American annexation of Louisiana, and it would not be officially known as Algiers until 1840. Chase says, “One of the earliest appearances in print of its name as Algiers is the New Orleans City Directory of 1840. Thirty years later, on March 14, 1870, when the community was formally incorporated into the city of New Orleans, it knew no other name.” (185-86). However, the area had been commonly called “Algiers Point” long before the name became official. Given the fact that it once was a prominent slave trade depot, the large presence of African slaves gave off the impression of it being like Africa itself. Algiers is the capital city of Algeria, and there is a legend that General “Bloody” O’Reilly suggested the name after recently fighting Algerian pirates in Mediterranean Sea. Born on the Belle Chase Plantation down in Plaquemines Parish, Francois Valette and his son Octave owned several warehouses on Algiers Point. A large part of their business came from the Vallette Drydock Company. During the Civil War, Valette feared that the Union Army would seize his docks to make repairs or procure supplies, so he dynamited them, essentially putting an end to his own business. With the combination of steamboats and trains, Algiers later became an economic powerhouse as it became the chief port for transcontinental trade. According to Chase, by 1900 the point boasted “70 to 75 percent of all freight to and from the east and west coast of the United States! At these yards and docks transfers from freight train to steamship was made; often a whole train’s cargo from the West was loaded aboard ship in twelve hours for the remainder of its journey to an Atlantic seaboard point.” (191). Thus, Algiers has streets named Pacific and Atlantic. However, the Panama Canal would make Algiers Point an obsolete transcontinental port. Today: Vallette Street is predominantly residential; however, one can find several local businesses and community centers. 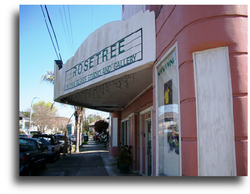 Arts-focused organizations, like the Rosetree Blown Glass Studio and the Calliope Puppet Center, are located along the street. A testament to the meandering nature of the Mississippi, Vallette Street first runs perpendicular to the river only to parallel it later. Algiers is located on what is known today as the “West Bank,” which refers to the Mississippi River’s geographic location, not its directional position. In other words, if you stand at the point, Uptown New Orleans is technically the western bank. Despite the incessant meandering of Old Man River, the “West Bank” is still the western side. Algiers identifies with its iconic ferry, which brings commuters (both pedestrian and automotive) to the foot of Canal Street in downtown New Orleans. People can go to Algiers’s historic district for a small town feel. You can go listen to live music at The Old Point Bar or have a pint at the Crown and Anchor English Pub. Anyone with the photography itch should make it a point – ah – to go Algiers, since it boasts some of the best panoramic views of the city. There is also a bike path along the levee which leads to downtown Gretna, a separate town in the Jefferson Parish portion of the West Bank. Tomorrow: Throughout history, the ferry has made Algiers what it is today, no matter if its ferrying people or commodities; however, this icon’s future is rather unknown at this point. Granted, I don’t think that the ferry will be disbanded (even though that happened a few years ago with the Gretna/Jackson Street Ferry), but it is undergoing a few changes that have residents wondering. View from the Algiers Ferry. From Algiers Point, one can take in one of the best views of the city. In 2014, Veolia, a privatized transit company, began operating the ferry. Pedestrians now have to pay $2 per trip whereas they rode gratis before. Also, the operating hours have been reduced. Resident Algerian Ian Graham, who commutes to work at The Prytania Bar in Uptown, says, “The major fear right now is that reduced ferry hours will hurt restaurants, bars, and B&Bs.” He is skeptical about Veolia expanding hours of operation, despite their claims to do so. “Generally, I think people are willing to do whatever it takes to keep the ferries. Veolia says they are about to put advertisements on the boats, like they do on buses. Hopefully that can help pay for maintenance.” Graham feels that the $2 pedestrian charge is not unreasonable; however, the monthly passes do not yield much of a discount and that may affect the residents and working commuters (the people who rely on ferry service the most). The annual Algiers Riverfest was cancelled this summer due to reduced ferry hours, and is still on hiatus. I’m quite confident that this ferry fiasco will sort its way out. One thing I know and respect about “West Bankers” is that they are truly devoted to their communities, and I don’t see that changing in any regard. John Churchill Chase. Frenchmen, Desire, Good Children. This entry was posted in Algiers, New Orleans history, NOLA, Uncategorized, West Bank New Orleans and tagged Algiers, Algiers ferry, Algiers Point, Algiers Riverfest, calliope puppet center, new orleans ferry, New Orleans history, old algiers new orleans, rosetree blown glass, vallette street, West Bank New Orleans on August 29, 2014 by John Breerwood. John, thanks for your post on Vallette Street. My mother was Muriel Helen Vallette, daughter of Leo Vallette and Sadonia Aucoin Vallette. She was born in 1928 and passed in 2010. She shared stories about my family heritage in Algiers Point, the docks and warehousing business and their destruction during the Civil War. So, reading your account completely reinforced what had been shared with me by my mother.